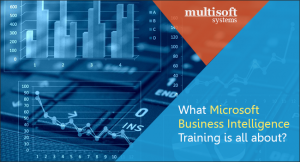 What Microsoft business intelligence training is all about? Create multiple types of reports and visualizations using SSRS/Power View etc. The training course content is in line with respective certification program and helps you crack the requisite certification exam with ease and get the best placement in the top MNCs. As part of this MSBI training you will be working on real time projects that have immense implications in the real world scenario thus helping you fast track your career smoothly. By the end of this training program there will be quizzes that perfectly reflect the type of questions asked in the certification exams and helps you score better marks in certification exam.